Thanks to Sight & Sound Theatres for providing us with tickets to the show. All opinions are my own. Several years ago my husband came home from work talking about Sight & Sound Theatres. It was the first he’d heard of it, but I was familiar since I went to college less than an hour from the Lancaster, PA location (there’s also one in Branson, MO) and had gotten to see a performance of Noah while in school. 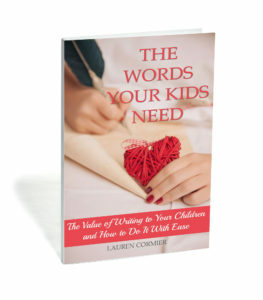 My husband was interested in going to a show at some point, but since the nearest theater is about 10 hours away from where we live and our kids were still very young at the time, we shelved the idea for a later date. Fast forward to a few months ago. At dinner one night, he mentioned trying to go this summer. 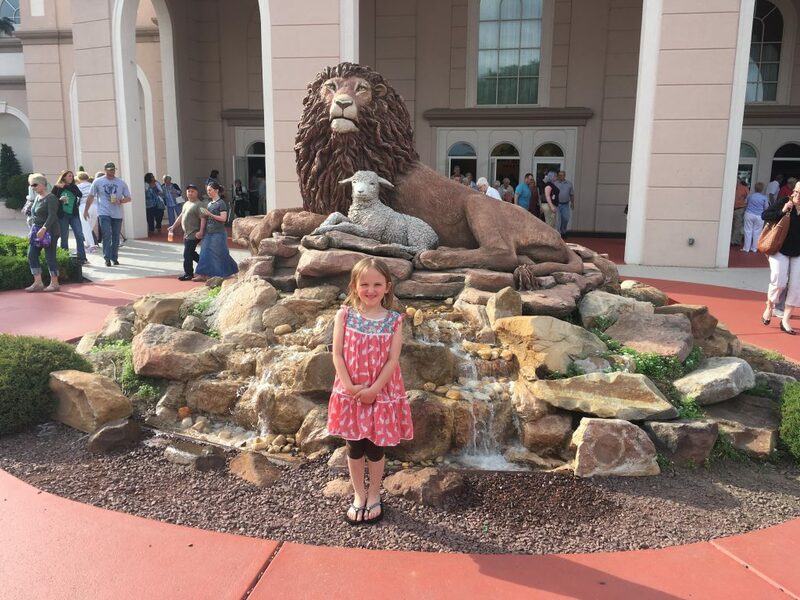 Since our kids are older (10, 8, and 6) and all the Hershey attractions are nearby, we knew this would be a great time to visit, so we made our plans for late May and went to a performance of Jesus. From the moment you drive into the parking lot, Sight and Sound is impressive. The building is large with several shining domes and beautiful landscaping that includes a large statue of a lion and lamb. The lobby is equally lovely with decor that brings you back to Biblical times. Besides the box office, there are concession stands that offer a small but tasty assortment of reasonably priced foods. The bathrooms are large, clean, and nice enough that I considered taking my very first bathroom selfie (but I didn’t). Ushers are stationed at every door to help you find your seat and answer any questions you have. As we walked into the auditorium, they suggested we pick up booster seats for the kids on the way to our seats. It proved to be a great suggestion. The kids thought they were comfortable and they made them tall enough to see over the taller heads in front of them. Our seats were pretty close to the main stage, but every seat has a great view. Some of the show takes place on either side of the auditorium and those parts were easy to see as well. One of the really cool parts of Sight and Sound shows is that they use live animals that walk and run down the aisles right beside your seats. My daughter loved watching the goats, sheep, donkey, and horses go by, but her favorite was the camel. There were also doves that flew overhead on several occasions. I’m not a bird fan at all, so that made me a little nervous, but they were very well trained and went right where they were supposed to (i.e. not on me). The show itself was outstanding. As I said earlier, we went to see Jesus. It began at the calling of the disciples and ended on the Day of Pentecost, with several flashbacks of His younger days included. Considering they had to condense Jesus’s entire life into a 2-3 hour time limit, the writers did a great job fitting in a lot of the events of the Gospels. Photo used with permission of Sight & Sound Theatres. The sets are incredible. The engineering, artistry, and time that went into creating them is truly astounding. 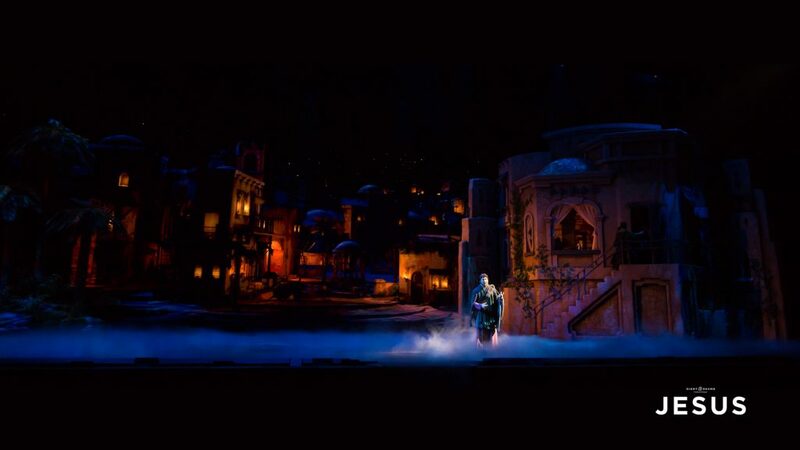 Honestly, if the show itself was just so-so, the sets alone would be worth seeing. Thankfully though, the acting was also superb. You know the actors have done their job when you leave having felt a full range of emotion. There were parts that had me laughing (James and John’s mother was great) and parts that had me crying (young Mary singing a lullaby to baby Jesus as older Mary stands in front of his grave… oy). Was it suitable for kids? Like I said earlier, our kids are 10, 8, and 6. I knew the older two wouldn’t have trouble sitting through the show, but wasn’t sure how our youngest would do, as it was about 2 1/2 hours long. She whispered to me quite often, but almost all of her whispering was directly related to the show. It has so much to capture the attention of the audience, no matter the age, that she didn’t get bored. There is a 15 minute intermission, which is a great time to stretch your legs, use the bathroom, and get snacks. Thankfully, none of our kids needed to use the bathroom during the show. I would have been nervous to leave our seats in case we were approaching a part of the show that used the aisle. However, the ushers were very attentive to the audience, making sure that people moved their legs out of the way before any actors or animals came down the aisles, so it probably wouldn’t have been a problem if they had needed to use the bathroom. As far as the content of the performance, there was nothing that I wouldn’t have wanted my children to see. There was a part involving Mary Magdalene and a man recounting her past sins, but it was done in very tasteful way in which kids wouldn’t understand what they were talking about if they weren’t familiar with the story. The crucifixion was also well done, and although it was sad and the costume showed Jesus with a bloodied body from being whipped, it was not gruesome or disturbing. One thing that was incredibly unique came at the very end. When the curtain closed at the conclusion of the show, I fully expected it to open back up so we could applaud the actors, but the curtain call never came. Furthermore, as I inspected the playbill, I realized that the actors are not listed in it. 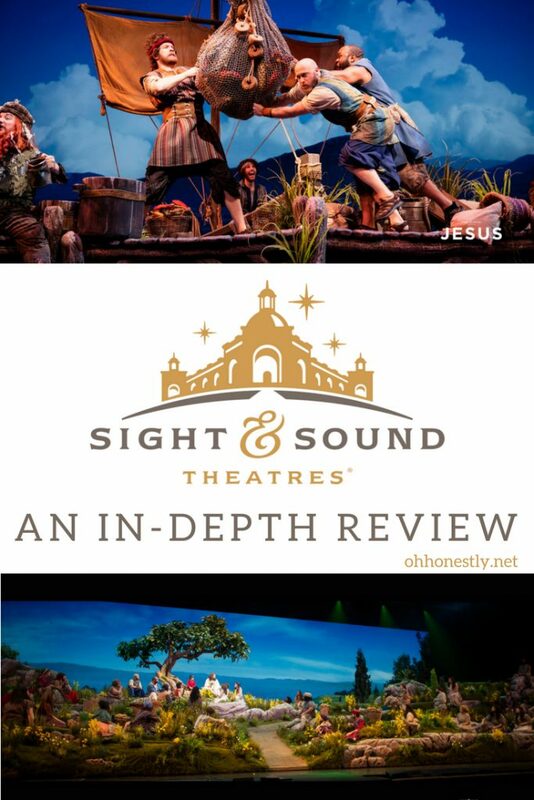 Sight & Sound Theatres has a clear mission to present the Gospel through their productions and offer glory to God, not themselves. They carry that mission through everything they do. If you find yourself in the Lancaster or Branson areas, I highly recommend getting tickets to a performance at Sight & Sound Theatres. I am confident that whatever show is playing will be done with the utmost excellence. If you’re not sure whether to bring your children or not, I would say as a general rule of thumb that school-age kids are old enough to enjoy it and possibly younger children if they’re able to sit through a movie at a theater. We planned our vacation around the Sight & Sound performance of Jesus and we were not disappointed. I have a feeling that despite the long drive, we’ll be back some day for another show.